Those of you who have been to Madeira, know what I am talking about, but for those of you that haven't, I can only say: If you want a real VACATION, i.e. 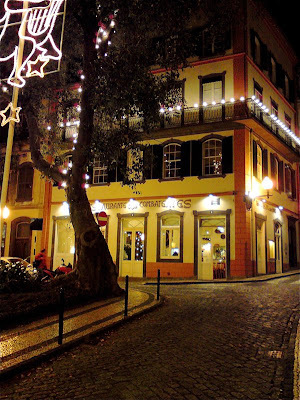 forget all the fuzz at home and just relax and enjoy life, Madeira is your destination. First and foremost it is the same temperature all year around, never too cold, and never too warm and it is green and beautiful and you find an abundance of floral beauty. Take it easy, while being here. You may sit on a café, stay in bed for the day, or slumber on a sun bed with a good book or just walk around. 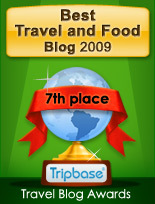 The price level is relatively low and the standard of hotels are generally high, and then it is the FOOD! Madeira is located in the middle of the Atlantic and getting fresh fish is no problem, and Madeira is a paradise for fish lovers. When you are used to staying by the Mediterranean where fish are on the size of those swimming in your living room aquarium, and have the same ratio between price and weight, Madeira is a pleasant surprise. Here fish is inexpensive, very fresh and found in abundance. The most common fish is espada, a black and satanically ugly deep sea fish with a snow white and mild meat. It is served in a wide range of ways, steamed, boiled, grilled, and fried, and the fish is delicious in any way it is prepared. 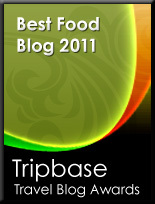 Espada must not be mistaken for Espadarte, the Swordfish that has a drier tougher meat. It is also widely available, most often grilled. In addition to these two species you find all sorts of fish found in the Atlantic as the parrotfish and sea bass, often available as the catch of the day priced per 100 grams on the restaurants. 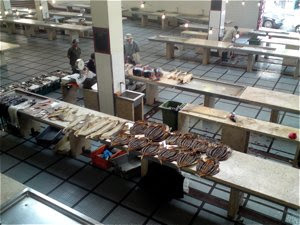 Another well known fish available is the salted , dried codfish or the Bacalao, as it is known locally. The genuine bacalao is imported from Norway, but other similar products are made from other fish than cod. 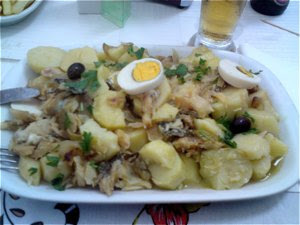 There are more bacalao recipes than those made from Espada, so you just have to start from the top and eat down the menu. 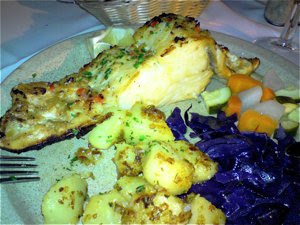 I want to say to those not fond of fish that you may get other dishes than those made from fish at Madeira. I will mention one dish, in particular, and its name may easily be mistaken for the two main species of fish I have told you about. I am talking about Espetada, meaning skewer, made from diced beef marinated in garlic, bay leaves and olive oil, and grilled on large iron skewers. It is served on stands on the table and you eat as much or as little you want. A real treat!! Conclusion: Espada and Espadarte are fish while Espetada is meat. Confused? Dagfinn Sigridsson Skoglund is 49 years old (forever) and is living in a studio apartment in downtown Oslo. He is working as a designer and art teacher, and is an excellent cook.